Just because something hasn’t been done before doesn’t mean it cant be done. Our Engineers have a deep understanding of Heat pump technology and use their depth of knowledge to overcome the obstacles presented to them. The image to the right shows 3 pipe VRF units we completely re configured so that they would be hidden behind a 1.2m wall at a prestigious hotel project in Canary wharf 5 of them had this configuration as space was at a premium and planning would not allow any outdoor units to be visible from adjacent buildings. Special attention was also given to the Heat rejection required by the Inverter boards to ensure trouble and trip free operation. If you have a challenging project give our engineers a call so that we can help you find a solution. 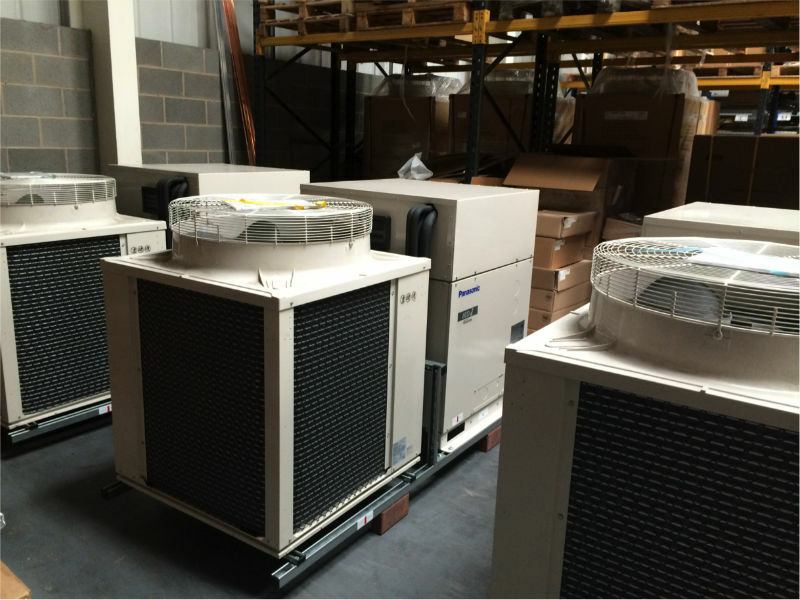 We are an award-winning distributor of air conditioning and heating products. We use our wealth of industry experience to help consultants, installers and end-users achieve their objectives by developing cost effective, energy efficient solutions they trust us to deliver. ©2002 - 2017 Oceanair UK Ltd.